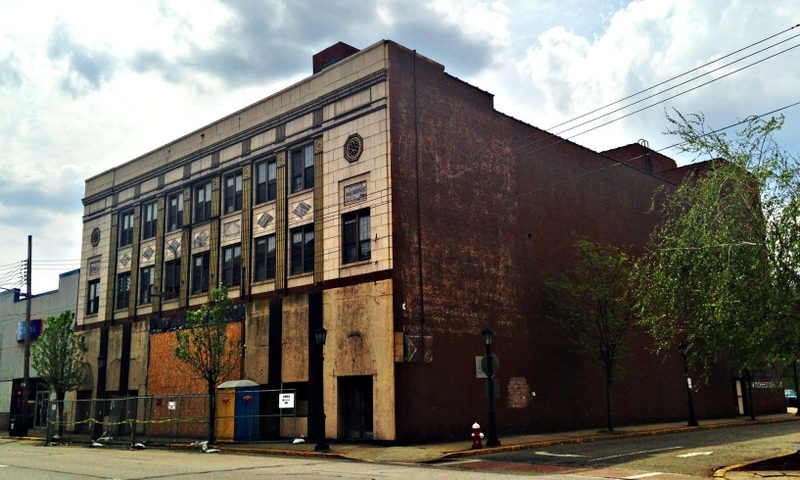 The Roxian Theatre is currently under development to reopen as a rock music venue in the McKees Rocks downtown business district. At 1,500 seats, it will fill the void in Pittsburgh for a mid-size contemporary concert space, making the region more attractive to national acts and essentially changing the music scene all together. 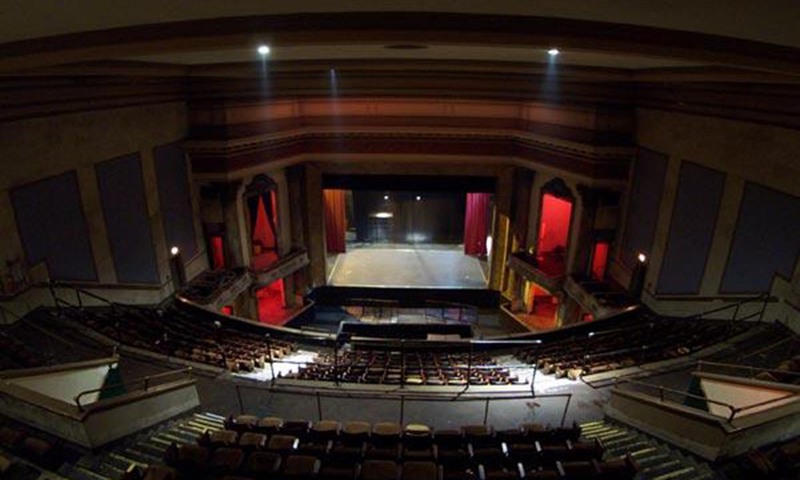 The Roxian first opened its doors in 1928 as a vaudeville movie house with luxury amenities. 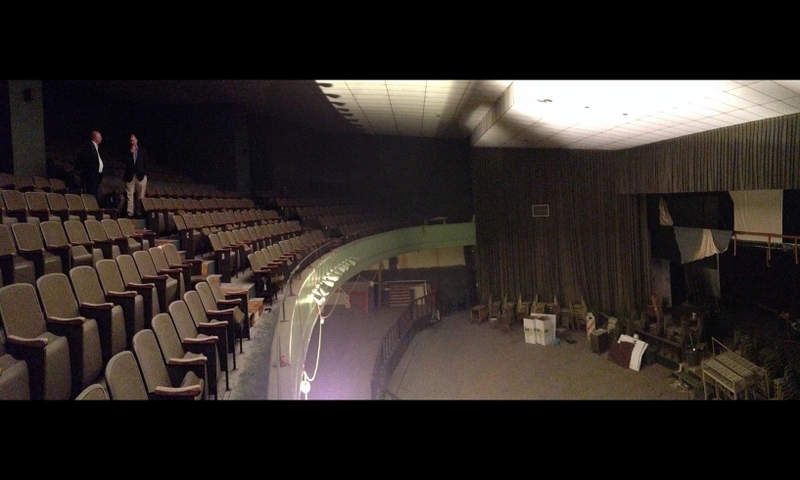 The Roxian Theatre embodies all the current ideas in deluxe theater construction. It is of elegant beauty and unusual architecture. Equipment throughout is complete and modern. There are men’s and women’s lounges; a spacious and luxuriously furnished mezzanine floor, a large fully equipped stage and other accessories to service and comfort, such as a ventilation system which assures patrons of year-round comfort. Despite its initial success, the Theatre closed its doors in 1979, and again in 2003 after a short stint as the Emerald Room nightclub. Although the Roxian has been dark for over ten years, redevelopment efforts are finally causing a comeback to come to fruition. In the Fall of 2013, MRCDC and the Palmer Westport Group consulting firm completed a feasibility study to determine whether or not the Roxian Theatre was a viable project. With the help of this nationally acclaimed consultant, MRCDC was able get in front of 41 Pittsburgh leaders, government officials, business owners and foundations to identify that there is an appetite for this type of venue. The study produced two main conclusions. 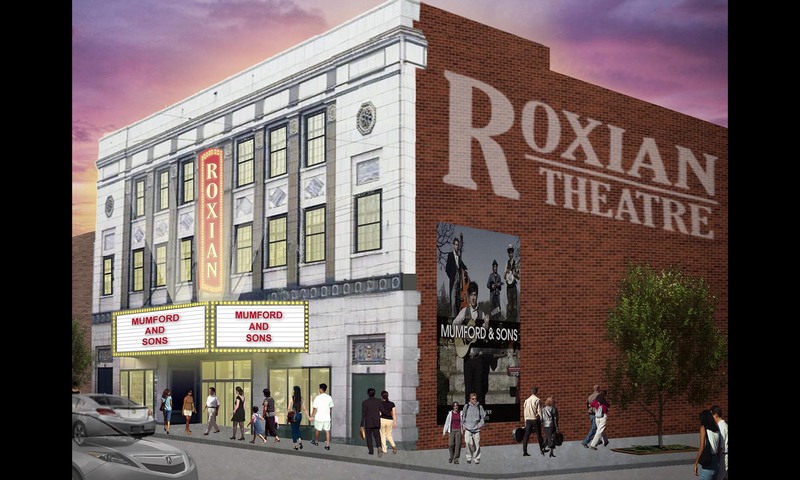 Funders feel strongly that the Father Ryan Arts Center must be a part of the Roxian Theatre development, and a plan that positions the two organizations as part of one arts and entertainment center must be created. These requirements will guide us as we move forward in creating a Master Plan for the Roxian. Market Assessment – The viability of the Roxian was further tested as the Palmer Westport Group and MRCDC joined forces once again to perform a market analysis on the geographic area surrounding the Theatre. This assessment provides demographic, consumer and lifestyle information at the block group level of all residents within a 30-minute drive time. We found that 36% of regional households show high demand for Roxian Theatre programs and another 56% show average to above average demand. The total population in these two groups is 973,760; a healthy statistic that will be a key feature in presenting business plans to potential funders and the general community. Master Plan– To best understand the implications and opportunities of such an endeavor, MRCDC and Father Ryan Arts Center are jointly undertaking a master planning process. A key part of the success of the Plan is to incorporate the oversight of select community leaders to ensure that our efforts are accurate, complete, and reflect the realities of our community. The first steps in creating this strategy have been completed with the guidance of the Palmer Westport Group. In May 2014, the MRCDC, Father Ryan Arts Center, and PWG held a weeklong series of advisory, visionary and focus group meetings to discuss the future not only for the Roxian, but for the district as a whole. Through these group meetings, MRCDC secured a group of major advisors, potential investors and an overall vision for the Arts and Entertainment District. 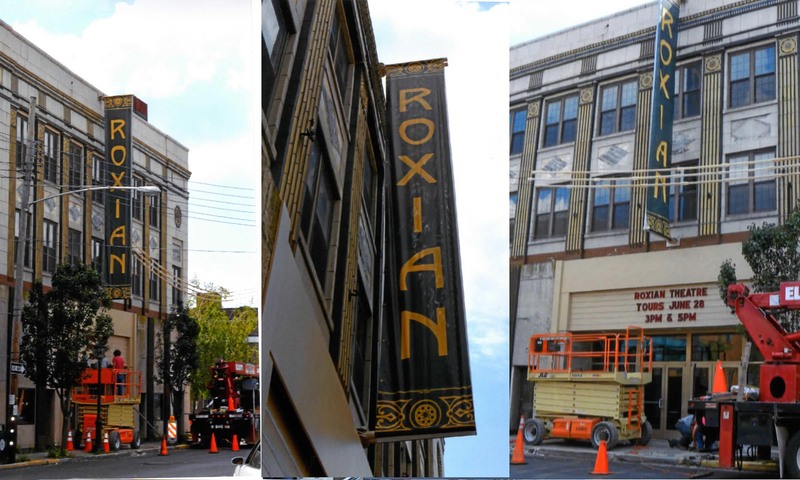 Façade Improvements – After years of anticipation, the façade improvements on the Roxian Theatre came to fruition in June 2014. Structural work was completed in stabilizing the roof and exterior, and the storefront and an elaborate blade sign were installed as well. The new storefront reflects the original design as an ode to the rich history of this building. Although the grand opening is a few years away, the new blade sign should generate interest in both the project and the Sto-Rox area.